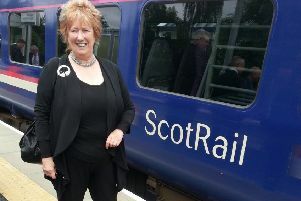 Borders SNP MSP Christine Grahame has welcomed the continuation of concessionary travel after new research showed 31,368 people in the Borders are benefiting from the scheme. Research from the Scottish Parliament Information Centre (SPICe) shows that 29,476 people over 60 and 1,892 disabled people in the region benefited. Last week a deal was struck between Transport Scotland and the bus industry which will see £414million invested over the next two years to ensure the scheme continues. Ms Grahame said: “Concessionary bus travel gives people who might otherwise be restricted a greater sense of independence and helps them remain in contact with their friends and family.